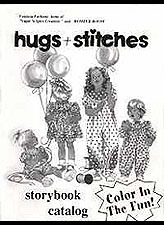 is our COMPLETE LINE OF BABY STORIES including Magazines and Novels. Plus there are SKETCHES of our BEST SELLING BABY FASHIONS . This picks up where BABY BEDTIME STORIES leaves off. It also has all the Lil Girl Fiction in it and Lil Girl Fashions. If you happen to be a Lil Girl Please order from other section to get the FREE color centrefold of LIL GIRL FASHIONS. If you are an ADULT BABY please order from this section.